The marriage of music and social change didn’t originate with the movements for civil rights and Black Power in the 1950s and 1960s, but never before and never again was the relationship between the two so dynamic. 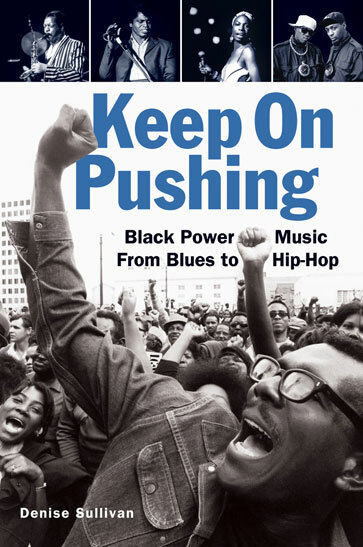 In Keep On Pushing, author Denise Sullivan presents the voices of musician-activists from this pivotal era and the artists who followed in their footsteps to become the force behind contemporary liberation music. Joining authentic voices with a bittersweet narrative covering more than fifty years of fighting oppression through song, Keep On Pushing defines the soundtrack to revolution and the price the artists paid to create it. Exclusive interviews with Yoko Ono, Richie Havens, Len Chandler, Buffy Sainte-Marie, Michael Franti, Solomon Burke, Wayne Kramer, John Sinclair, Phranc, plus musician-activist Elaine Brown on the Black Panthers, Nina Simone collaborator Al Schackman, Penelope Houston and Debora Iyall on San Francisco punk rock, Ed Pearl on the L.A. folk scene and the Ash Grove, and other musical and political icons. Denise Sullivan is a freelance writer and an online columnist for Crawdaddy!--the first U.S. magazine to cover rock music in the 1960s through a social and political lens. She is the author of three previous music titles, including The White Stripes: Sweethearts of the Blues.